Here’s a recipe that’s the cornerstone of a fabulous dinner party. I love when we create a new dish that I can’t wait to make again for my friends and family. I’m not sure which part of the dish is my favorite, the buttery, melt in your mouth texture of the filet or the spicy, sweet lusciousness of the mushrooms. I do know that the two parts make for a great main course. We tested it with a side of sautéed green beans and a simple salad dressed lightly with olive oil and lime juice. Preheat oven to 425 degrees with the oven rack set in the middle position. Place the steaks into a non-reactive dish. In a small bowl, combine the garlic, chipotles, adobo sauce and lime juice. Divide this marinade in half. Take one of the halves, and rub it all over the steaks. Wrap the filets and place in the refrigerator for at least 20 minutes. Combine the remaining half of the marinade with the agave syrup and set aside. This will be used to glaze the steaks and flavor the mushrooms. Heat a very large (12 inch) non-stick skillet over high heat with 2 tablespoons oil. If you’re using a smaller skillet you’ll need to sear the steaks in two batches. While the pan is heating up, generously salt both sides of the steaks. Add steaks to the pan making sure not to crowd. Sear both sides of the steaks about 2 to 3 minutes per side so that a nice crust forms. Remove the pan from the heat and transfer the steaks to a wire rack set over a rimmed baking sheet. Spoon the glaze over both sides of the steaks, reserving about 2 tablespoons to add to the crema. Place the steaks into the preheated oven. Start checking the temperature of the steaks after 7 minutes (130 degrees for rare or 140 degrees for medium rare). Continue cooking until you’ve reach your desired temperature. Remember that the temperature of the meat will raise another 5 degrees as it rests. Tent the filets with aluminum foil and allow them to rest while you prepare the mushrooms. Return the pan to the heat and add the remaining 2 tablespoons oil. Once the oil is hot, add the shallots and cook until golden brown, about 2 minutes. Add the mushrooms and 1/2 teaspoon salt and cook until the mushrooms have turned brown around the edges, about 4 minutes. Stir the remaining glaze into the crema and add it to the mushrooms. Fold the crema into the mushrooms and cook until the crema melts and sauce adheres to the mushrooms. Before plating, remove the butcher string. Place the filet on a heated plate and spoon the mushrooms over the top. 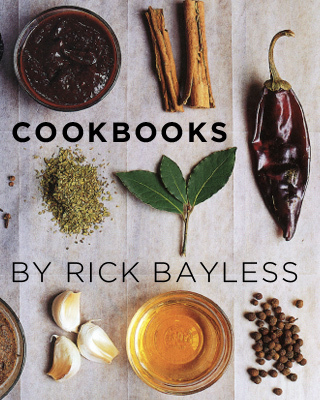 Thank you Rick Bayless! We’ve had the pleasure to eat at your fine dining restaurant in Chicago, and appreciate your reciepes here!! This is an absolutely fantastic recipe. Just delicious. Thank you! Coincidentally, a couple of days later, we went out for breakfast and on the menu were scrambled eggs with creamy mushroom chipotle sauce, and Oaxaca?? ?s cheese melted on top. Another great idea.